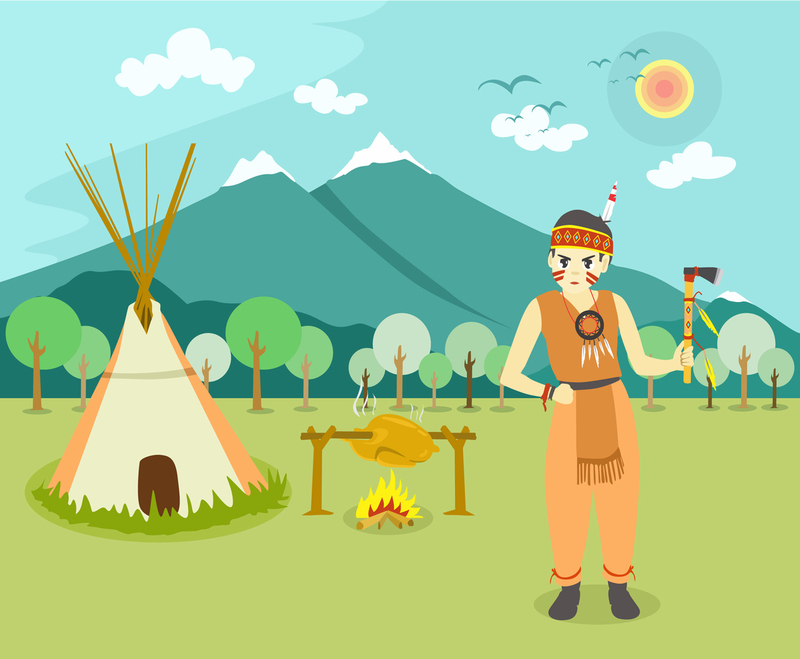 Vector illustration of a little Indian hunter boy in front of his tent, carrying a tomahawk. You'll also have campfire roast chicken illustration and mountain landscape as the background. It will be great as part of a children book story related to camping of nature topic.